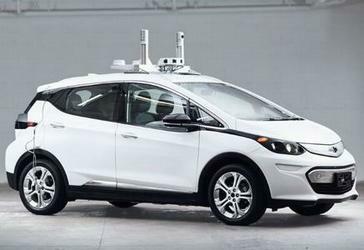 MIAMI, Florida, November 1, 2016 (ENS) – Five mayors have announced that they will work together to prepare their cities for the emergence of autonomous vehicles. 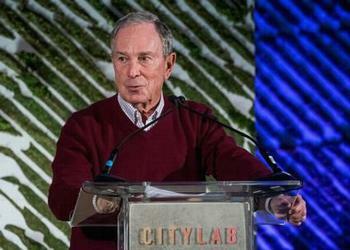 The inaugural cities participating in the Bloomberg Aspen Initiative on Cities and Autonomous Vehicles, announced last week at the CityLab conference in Miami, are: Paris, France; Buenos Aires, Argentina; and three cities in the United States: Austin, Texas; Los Angeles, California; and Nashville, Tennessee. Four of these pioneering cities, Paris, Buenos Aires, Austin and Los Angeles, are also members of C40, a network of the world’s megacities committed to bold leadership in addressing climate change. The initiative is intended to create a cross sector public dialogue around autonomous vehicles, leveraging the Aspen Institute’s history of convening leading thinkers and policy makers to address complex issues, and Bloomberg Philanthropies’ experience working in more than 400 cities worldwide to solve major problems and improve city life. In five years, the majority of Lyft rides will be done autonomously,” he said. “I look forward to working together on this once-in-a-lifetime opportunity to reimagine and redesign our cities around people over cars,” said Zimmer. As mayors welcomed the Bloomberg Aspen Initiative they recognized the unique opportunity that autonomous vehicles offer to accelerate cuts to greenhouse gas emissions in their cities. Five additional cities will be announced later this year and cities across the C40 network are encouraged to participate in the initiative. Bloomberg Philanthropies and the Aspen Institute will galvanize experts and data to accelerate cities’ planning efforts, and produce a set of principles and tools that participating cities can use to chart their own paths forward and share with other cities around the world. “In Paris we are transforming our transport system to prioritize the health and welfare of our citizens,” said C40 Chair-Elect and Paris Mayor Anne Hidalgo. “If managed properly, the arrival of autonomous vehicles will speed up that transformation whilst also helping cities to deliver on the ambition of the Paris Agreement on Climate Change,” said Mayor Hidalgo. “The Bloomberg Aspen Initiative on Cities and Autonomous Vehicles will be key in ensuring that this shift focusses on improving the lives of citizens,” she said. Sustainable urban transportation is a major priority for C40 and will be a key theme of the C40 Mayors Summit, in Mexico City from November 30 through December 2. This summit will bring together the world’s most influential mayors, representing 650 million citizens to present their common goals for a sustainable future, one year after the Paris Agreement on climate change was agreed by world leaders and less than a month after it enters into force on November 4.